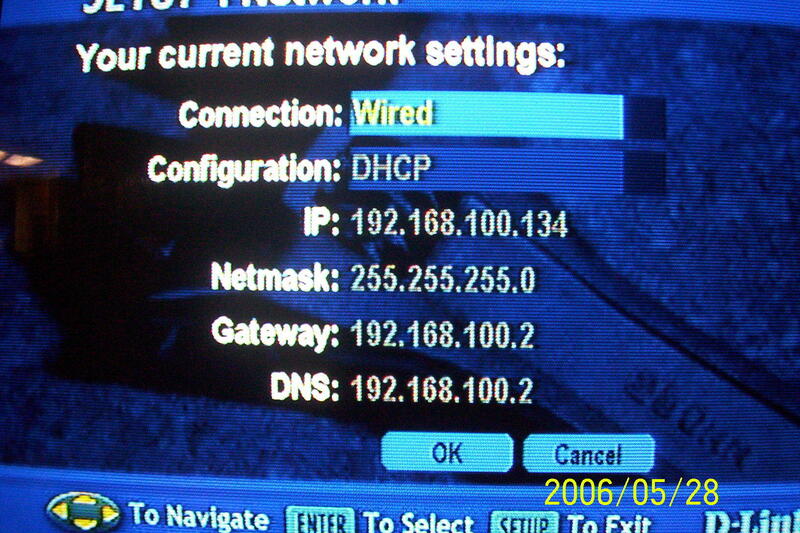 When I first moved in to my house, I decided to run CAT5 everywhere that I thought I might need network access. It was a big job that involved opening-up the walls and ceilings, and I was glad when I finally got it all done. Now, after putting together a streaming video server and a server-based DVR, I realize that there are some areas in the house that I missed - the areas behind televisions in the family roon, game room, and the master bedroom. 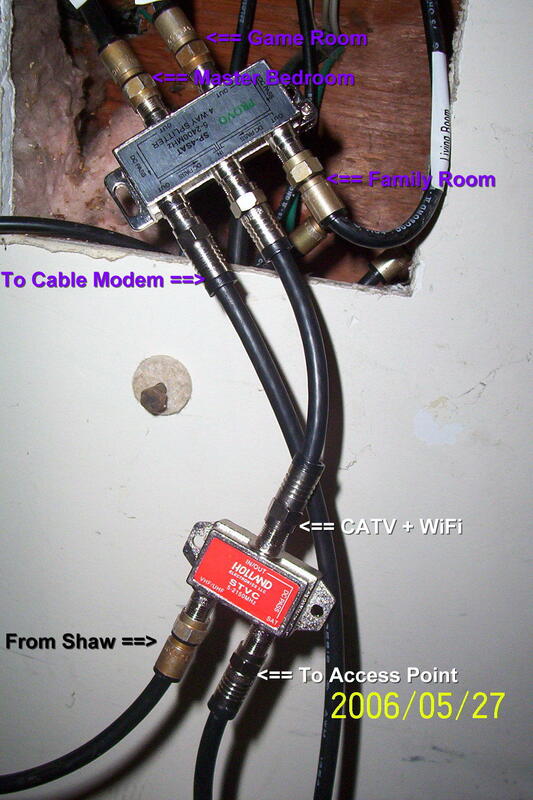 Rather than start opening-up the walls again, and not wanting to go wireless (too many access points in my neighbourhood), I decided to try and use the existing CATV cabling and some el-cheapo WAPs for Ethernet access. 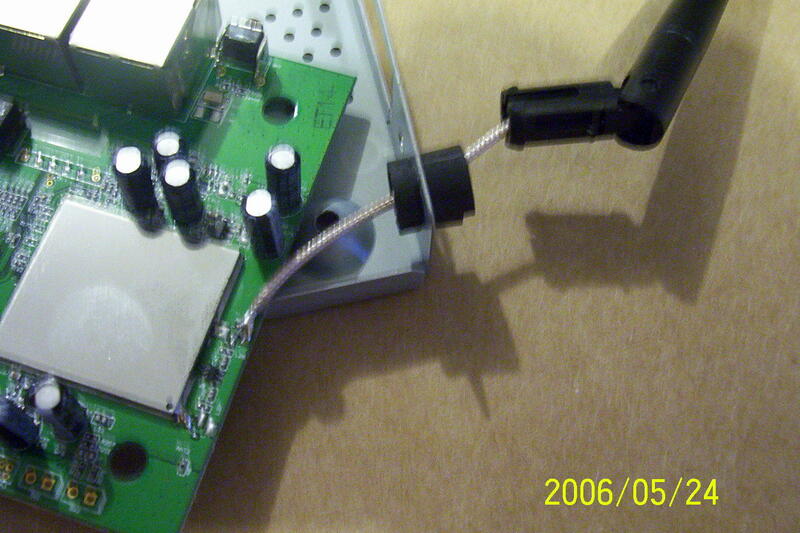 The only difficulty I had was with handling the cable that goes from the antenna to the circuit board. 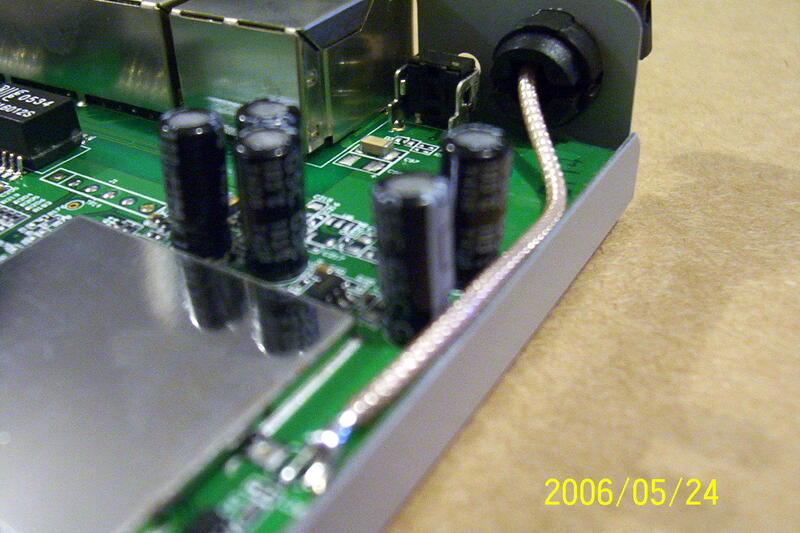 The conductive surface on the board is very thin, and I ended-up lifting the conductive material off the board when I pulled too hard on the cable. 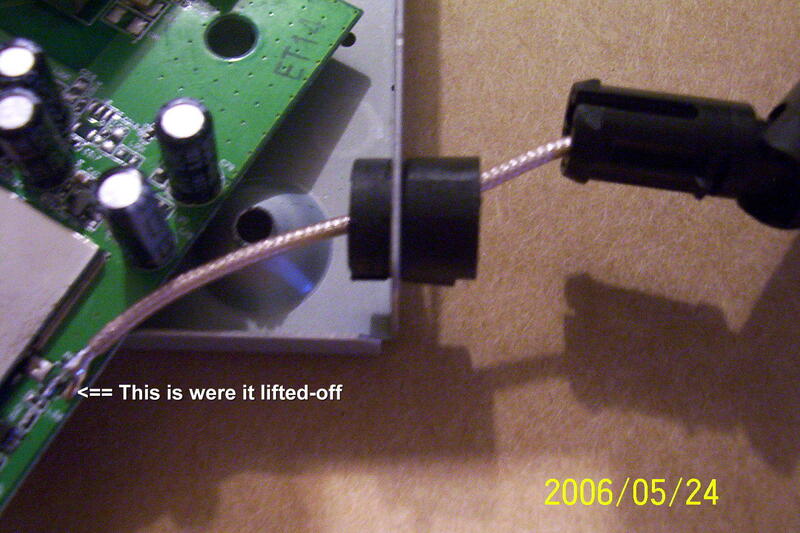 I was extra careful when working on the second access point, but I still ended-up lifting that one as well. 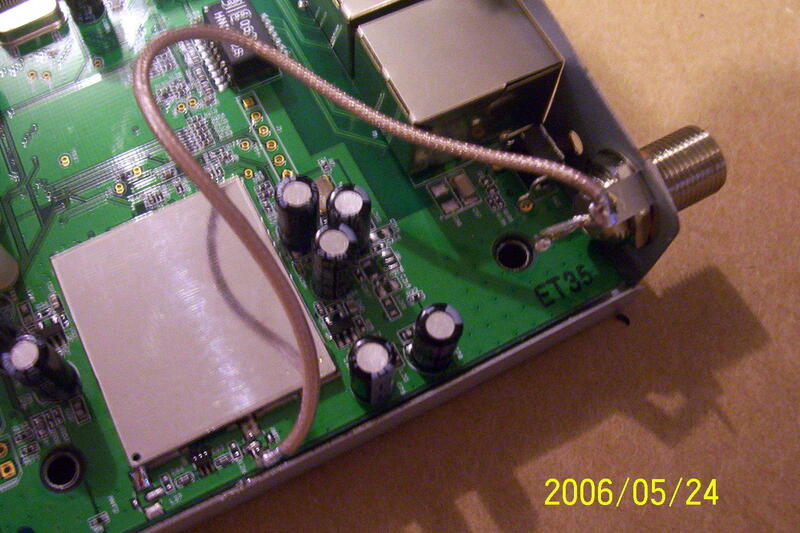 CATV signals are fall between 50MHz to 850MHz, and 802.11g is around 2400MHz. 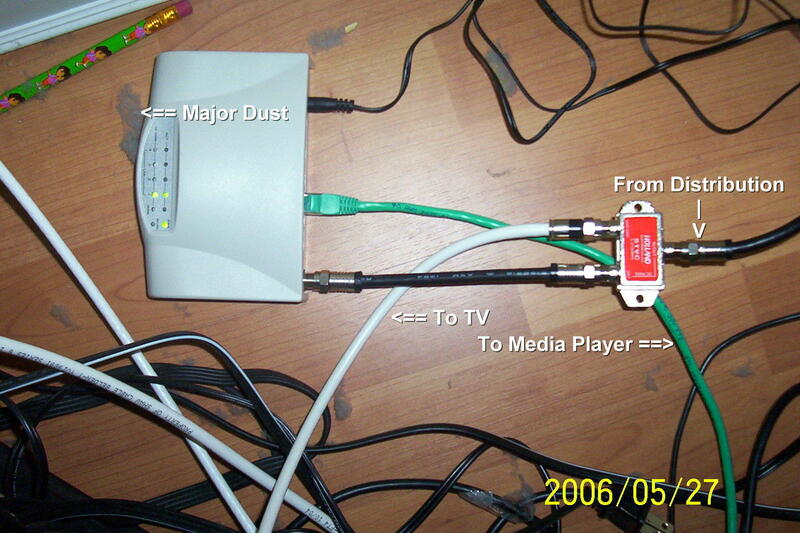 I bought some diplexers designed for working with off-air televison signals and satellite LNB outputs and used them to combine/split the cable TV and the WiFi signals. 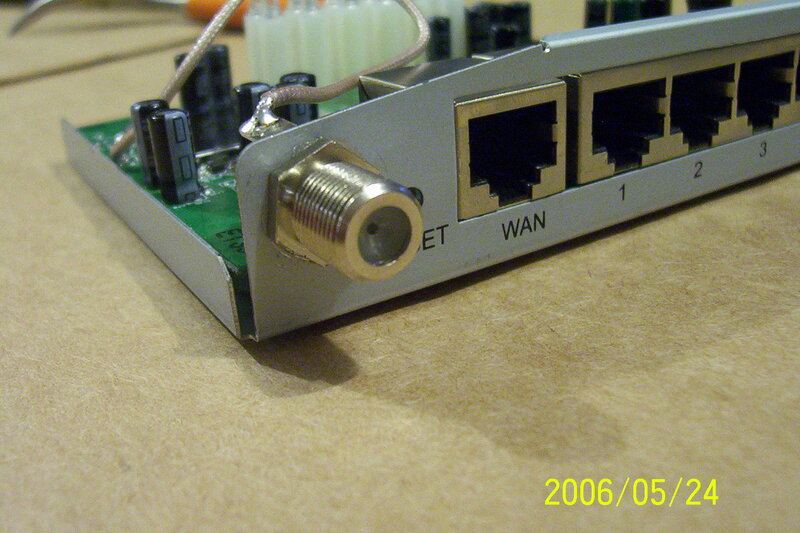 I also upgraded the splitter used to distribute the cable TV signals though the house from the 50-850MHz unit that Shaw installed to a 5-2400MHz one to try and minimized the losses at 2400MHz. 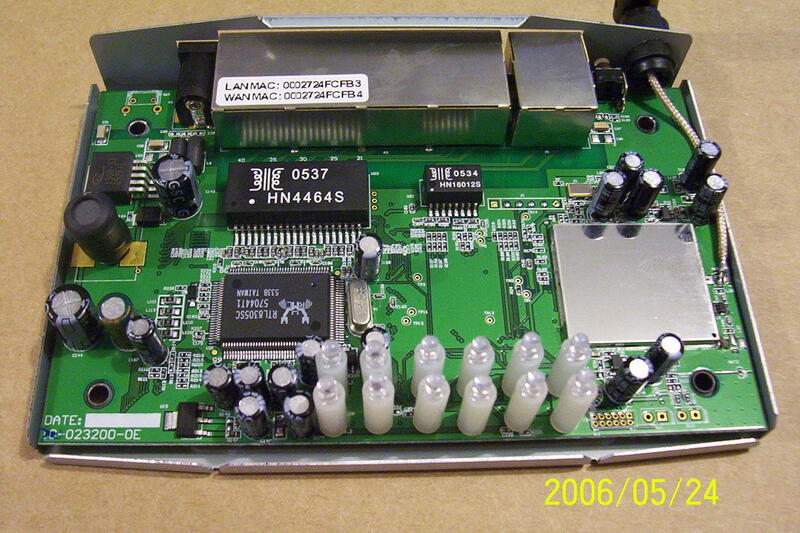 The cable modem has it own filter and pad (not shown in photos). 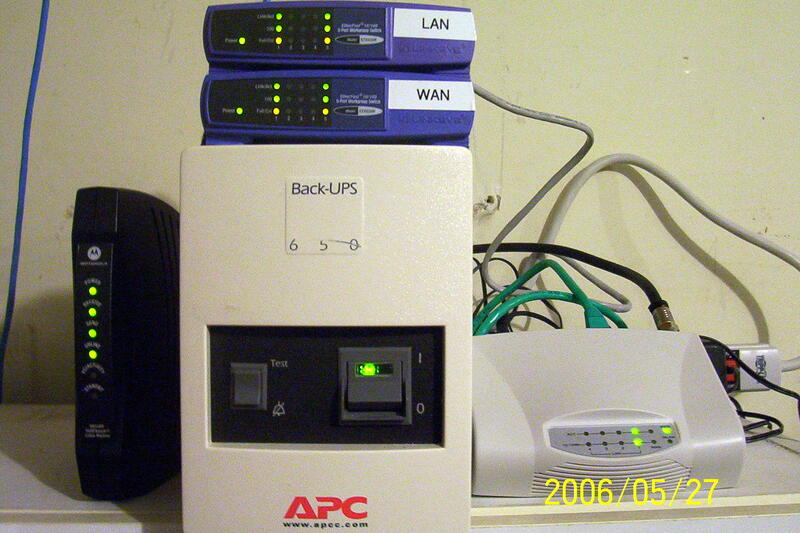 I put Ethernet switches on both the LAN and WAN networks so that I wouldn't need to break the network connections for troubleshooting. The UPS keeps everything going in case I blow the breaker. The client-side of the access sides on the floor behind the TV. The access point reports 98 (out of 100) for signal strength. 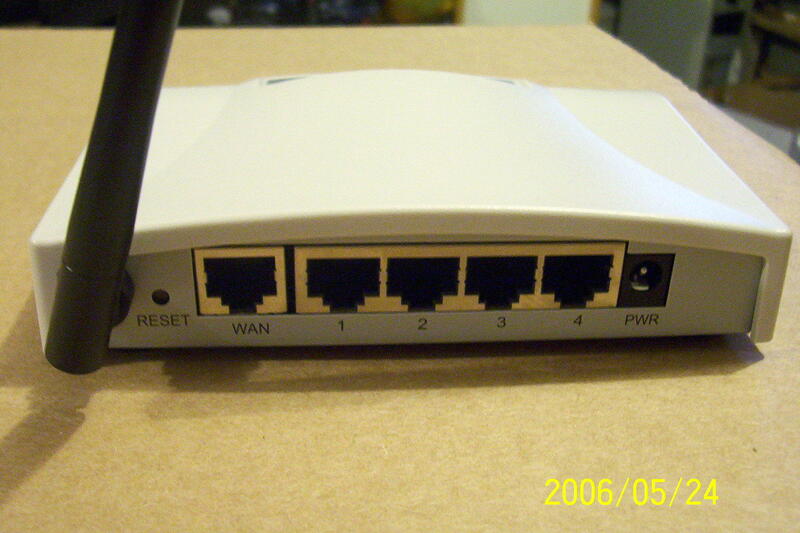 Note that no other access points are visible. 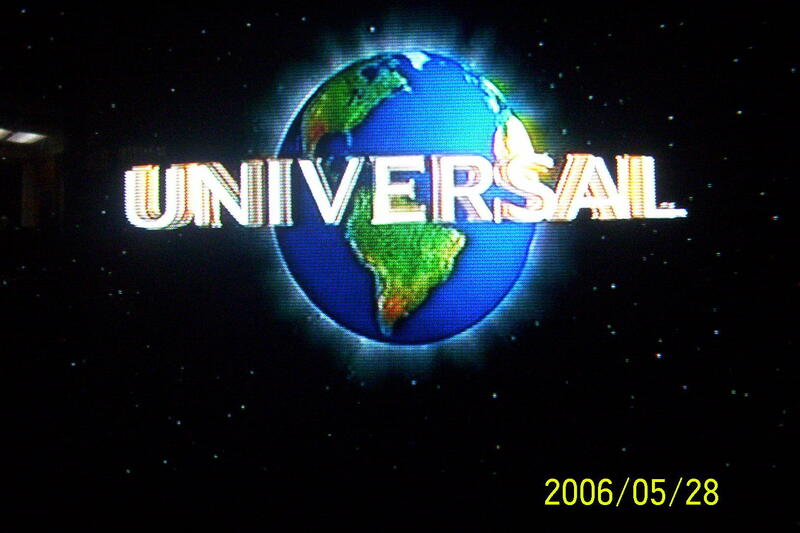 After connecting the Ethernet from the access point to the media player I find that I have connectivity and can watch a movie.